Stained glass Bird House accent memory lamp. 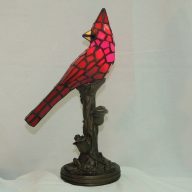 This Bird House accent lamp is perfect for any bird lover or in memory of one. 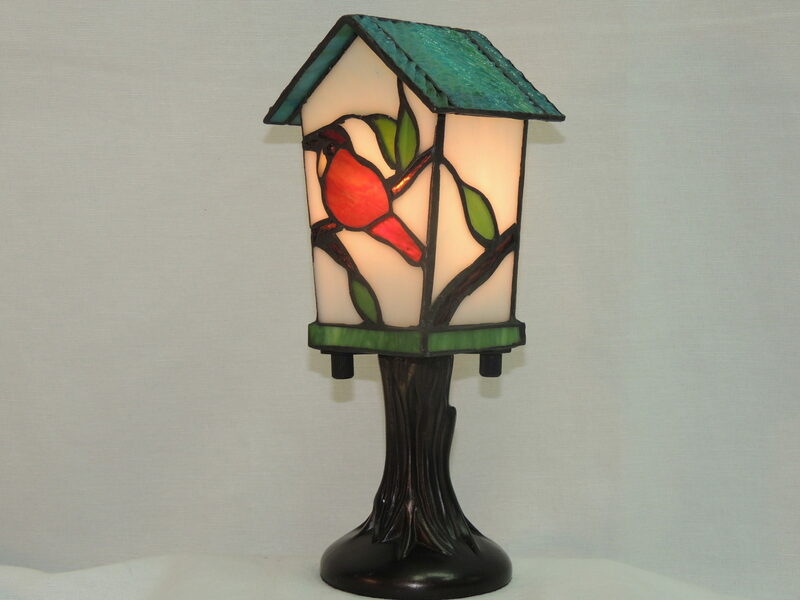 The hand cut stained glass on this memory lamp is striated and also has some ripple glass, showing off shades of teal, orange, red, green and amber. 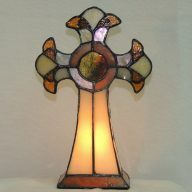 The base is composite with a tree trunk design and hand finished in antique bronze. 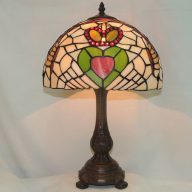 This gift of light has a small footprint and will fit just about anywhere. Not only is this a great gift in lieu of flowers, but it is also a unique statement piece.